Awards being handed out at the members' show. 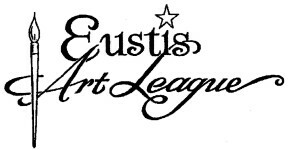 The Eustis Art League was founded in 1956. 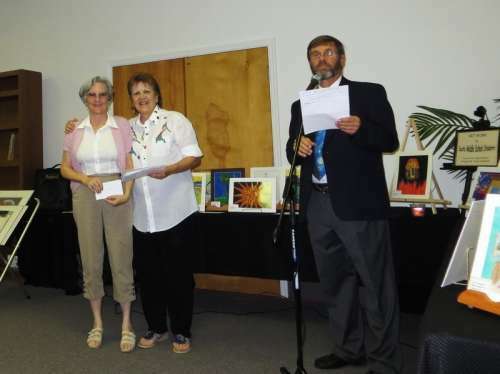 It is one of the oldest art leagues in Florida and considered to be one of the friendliest. Our objective is to promote and encourage the creation and appreciation of all forms of fine arts throughout our community. Are offered at meetings, presented by award winning artists, in all media. When possible, we arrange for the presenter at the meetings to lead a 3 hour workshop following the meeting. Each year we hold a member show, usually held in February. Members may enter 3 pieces of art in any of seven categories. Ribbons and cash prizes are awarded to Best of Show, winners in each category and Honourable Mentions.